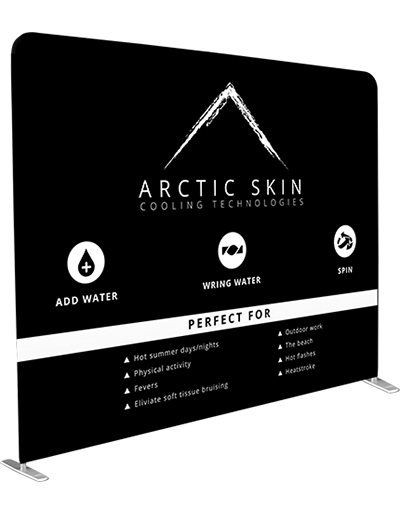 LW “Lightweight” Tube Displays are one of the lightest full size displays on the market, these systems combine a fabric graphic stretched over a collapsible frame. Assemble in minutes with coded indicators. Tool Free assembly. 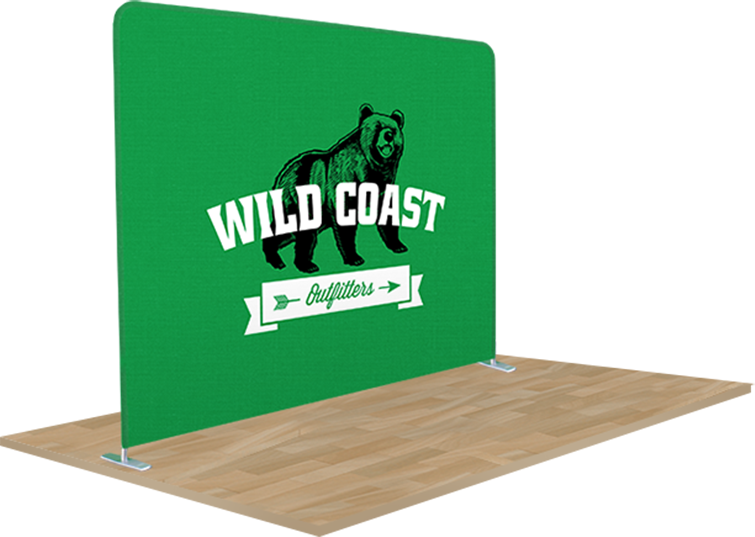 LW Tube Display Fabric graphic is a single, continuous panel printed to a durable, wrinkle-resistant polyester. 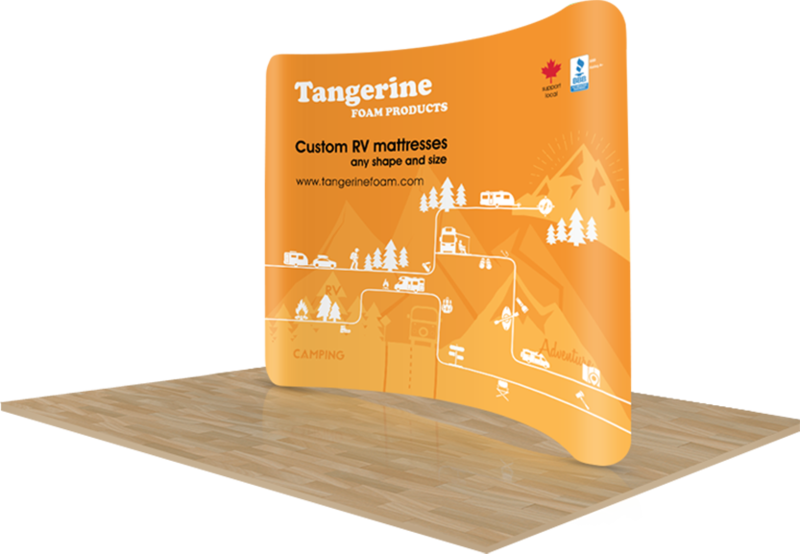 Lightweight and compact packaging makes Fabric Displays extremely cost efficient for shipping. 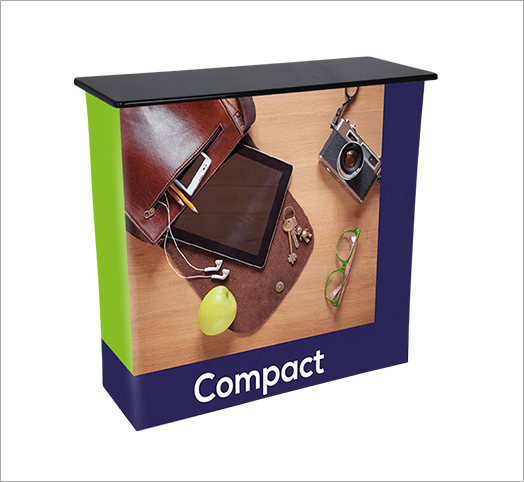 Available in 8ft, 10ft and 20ft wide frames, the LW tube display is a great solution for any booth space. LW Tube displays are available in straight, curved and serpentine shapes. LW tube offers you a seamless backwall with dye-sublimation fabric graphics. 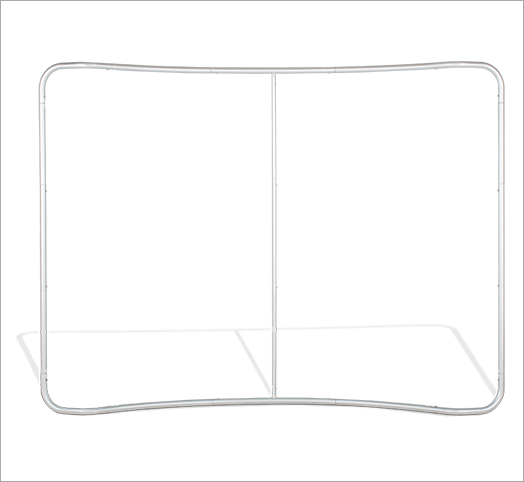 The tension fabric is stretched over the frame to display a perfectly taut image without wrinkles. Aluminum frame that contains absolutely no plastic, easy to match numbers to connect bars, thicker, more sturdy aluminum tubing, and larger push pins that are easier to press and connect. 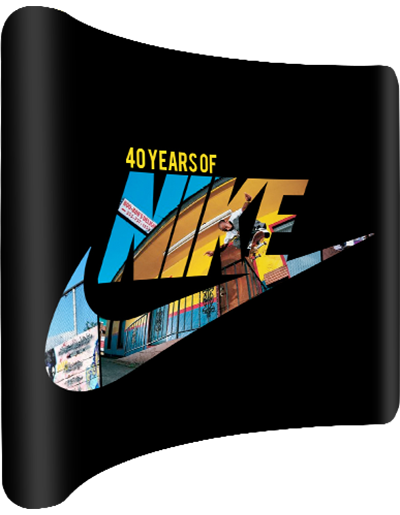 The colors and the graphic itself are extremely durable over time, guaranteeing an impeccable finish time after time. Increase advertising space with double sided LW tube displays, which allows your message/advertising to be seen from both sides. 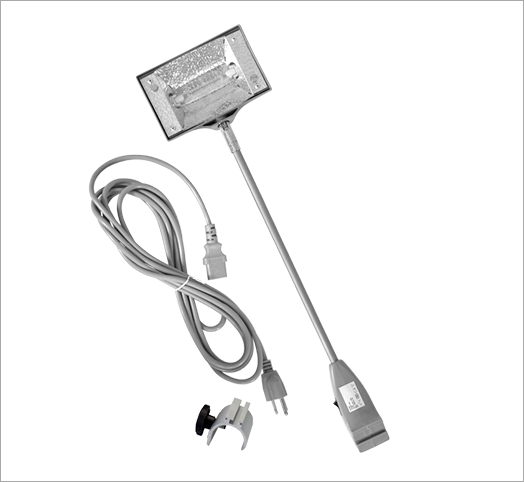 LW tube displays are available in 3 sizes ranging from 8ft to 20ft. Padded carrying case is included with all LW tube displays. Optional hard carrying cases are also available. LW tube display graphics can be printed double sided. shipping case is available that can be transformed into a counter. Anodized Aluminum frame assemble in minutes with coded indicators. 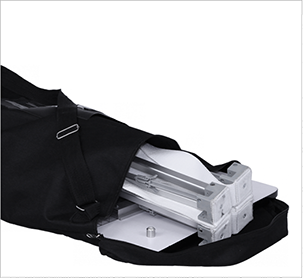 LW tube display comes with strong and padded carrying case for easy transport. Optional Pop Up Light connects to the frame on the LW tube displays. 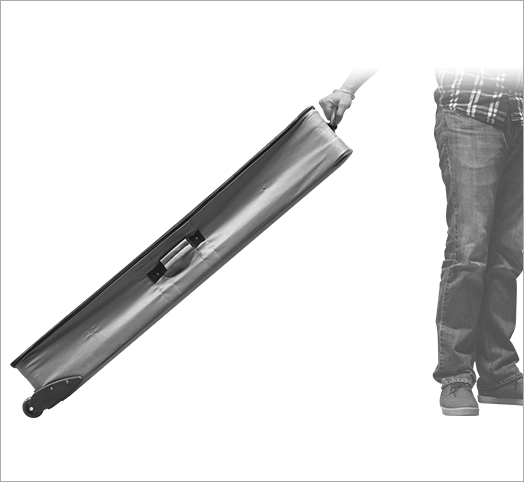 The compact Counter is constructed of a sturdy aluminum frame that measures 4’x3’x1’ and weighs 30lb. Because the aluminum frame is collapsible, compact counter can be stored in the included carrying case for easy transport. Key points to know about LW Tube Displays. easy-to-assemble hardware which allows for quick set-ups. stands is ideal solution for your travel exhibits.